The concept of thought leadership has been around for a few years, long enough to attract its own stand-up comedy character. A thought leader can refer to an individual or firm that is recognised as an authority in a specialised field and whose expertise is sought and often rewarded. A true thought leader will have a solid base of expertise, skills in communicating with the relevant audience, ideas about the future, and be driving that future. It’s a tough position to fill, so who qualifies as a thought leader? Some examples will help. The youngest winner of the Nobel Peace Prize, the girl who famously took a bullet in order to go to school. Malala now lives in the UK and continues to campaign for education and other rights for girls and women. The COO of Facebook and the first women to join their board, her book Lean In has inspired a movement of Lean In circles supporting women’s growth in business. Buffet’s rules for investing well have become famous, some can be applied to business or even more generally to life. He’s one of the founders of the Giving Pledge, where very wealthy people pledge to give away at least half of their wealth. MacArthur famous for sailing solo, non-stop around the world as the fulfilment of her childhood dream. She now campaigns for economic reform to sustain our environment, the Circular Economy. Most of these are household names, but a thought leader may be less broadly known, but well-known, and sought after, in their field. It takes more than a tweet to make a company social. This is part 2 of a 7 part series. In each part there will be an explanation, some examples, what happens when it’s not done well, some tips and resources. To close I will use an invented case study based on the NewArt Museum to demonstrate the step. What is the vision you have for social media? What does it bring the company/organisation? The vision should be expressed in a sentence or two, and it’s forward looking and ambitious. A good vision statement will help you build buy-in, and it will help you make decisions for all the following steps. It might be “We use social media to raise awareness of our brand” which positions your social media efforts into content publishing and community management. It could be “We use social to support consumers” which means your efforts focus on social care and possibly some community management. From these two examples I think you can see that defining this first is key. In large companies it’s likely that you will want a high level vision, while various business teams within the organisation will need to define their purpose in a more specific way. In a previous job our vision for the Enterprise Social Network included “this is the way we will work”, businesses and projects then could use the concept to challenge existing processes and refine a vision for their own use of the tool. For some it because a support tool, for others it was a collaboration tool, others used it to support global communication around new programmes. Without a well defined vision that is aligned with business goals your next steps risk losing focus, and you will struggle with subsequent decisions or conflicting demands of stakeholders. Here are some tips on writing a vision statement, and a whole presentation on vision statements. Plus just for fun, some examples of really bad vision statements. I’m going to use an invented organisation to demonstrate each step in this series. 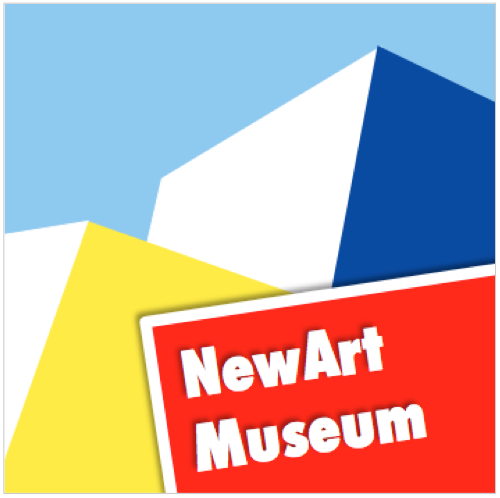 Introducing the NewArt Museum. The Museum was famous and well visited when it was first opened, but recently visitor numbers have dropped, and the analysis shows that the majority of visitors are in a 40+ age group, with very few visitors are in the 18-25 age group. The Museum has secured a art grant aimed at changing this and launched a programme under the name “Secure our Future”. They have developed a new vision for their business; The NewArt Museum is building new audiences of art-lovers, and supporting contributions from new artists. Translating this business vision to one for social media = leading a community of young art lovers who engage with the museum and promote its activities.